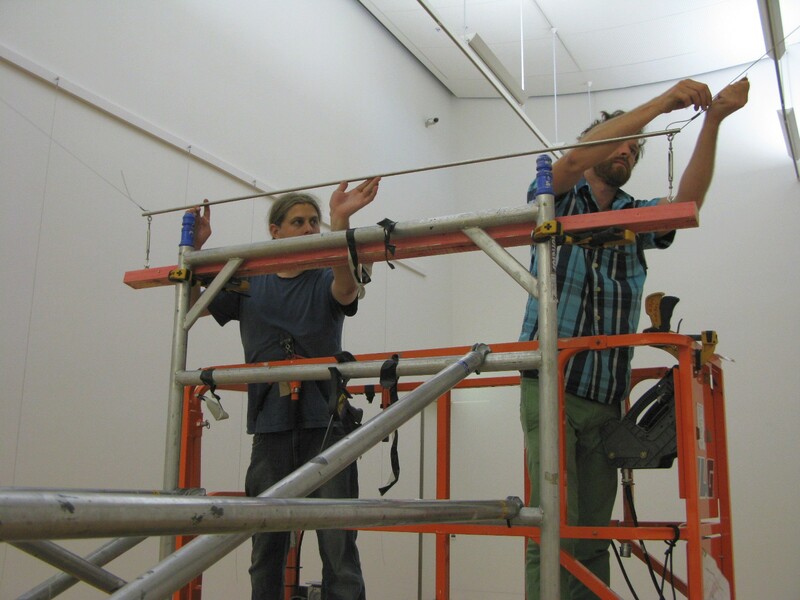 Over the last couple of weeks, we have been busy installing an updated selection of works in the Collecting Contemporary exhibition on Level 5. 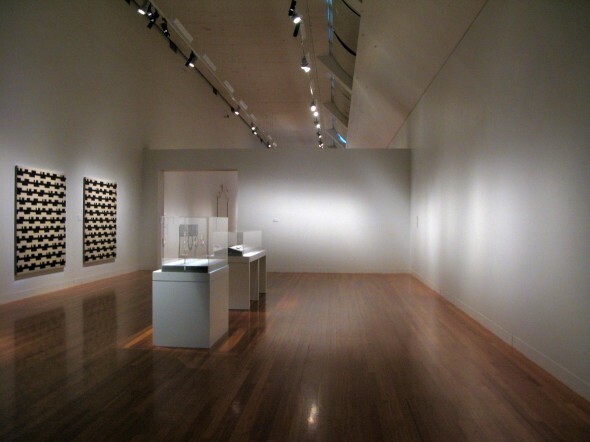 Collecting Contemporary is an exhibition featuring some of the contemporary New Zealand art works that Te Papa acquired between 2006 and 2011. As a curator, the installation period, or changeover, of exhibitions is always an exciting time – stressful, fun, tiring, and exhilarating. 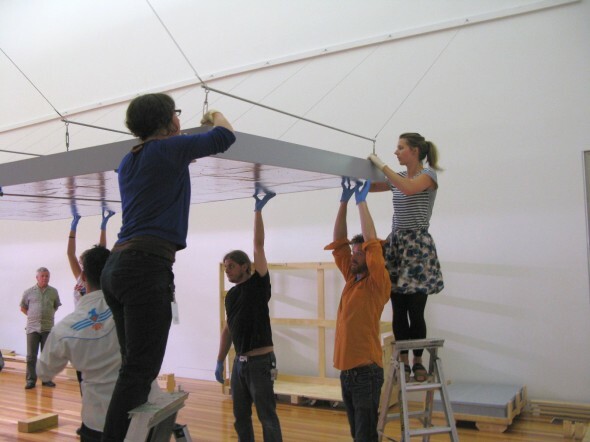 Other tasks have to be put on hold while the project team concentrates on getting the show ready to open. 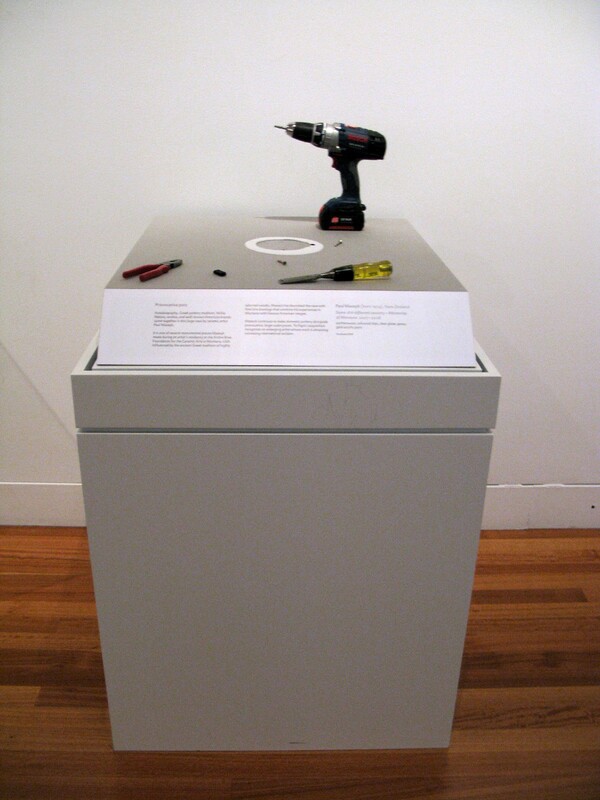 In this blog post, I wanted to share some behind-the-scenes photos that were taken as we installed the exhibition. I always love seeing these sorts of images from other museums – to see the craft of skilled technicians carefully installing art works and to get a sneak preview of what’s going to be on show. 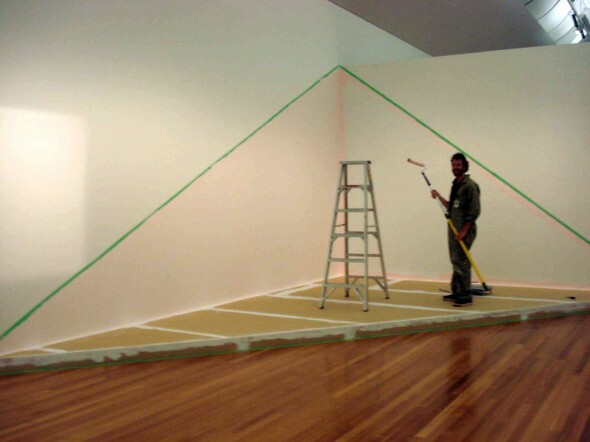 Te Papa installers patch up the gallery walls. 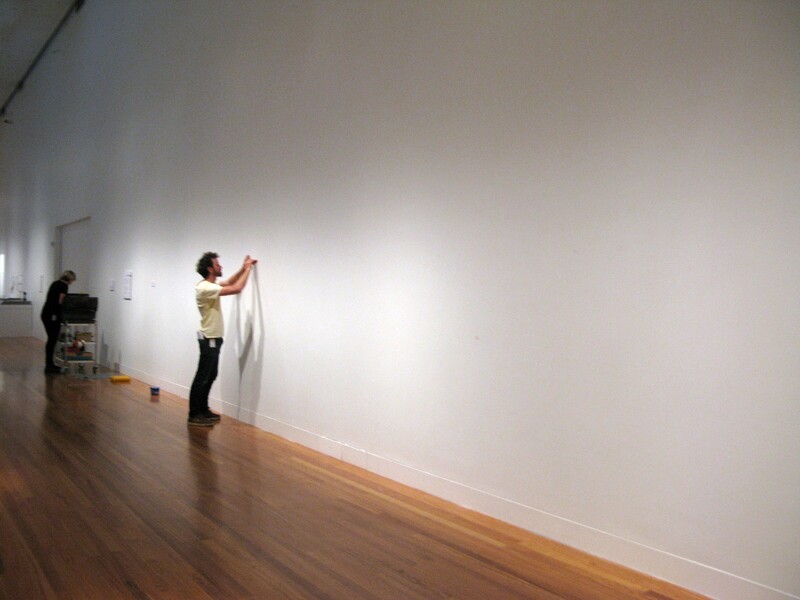 Exhibitions Co-ordinator Hutch Wilco estimates there are probably about 60 layers of paint on this particular wall from different exhibitions over the years. Thank you to all the crew who worked on getting this show ready and, especially, a heartfelt thank you to each of the exhibiting artists. If you happen to be in Wellington, please pop in and visit the exhibition. It’s free and on Level 5.